Niko’s history started in 1994. A packing machine and several persons on a 100 m2-area put the beginning of NIKO brand packed sugar production. The new and unique cigar type pack form managed to attract consumers’ interest and gain a place in the market. Of course, the efforts of NIKO team in the distribution of the product and its promotion in the national market contributed to this. These efforts were successful and the small family business started a period of progress: product range was expanded, a new production facility was built and the Company trade was improved. Today, having a stable market position, NIKO is able to satisfy consumers’ different demands and tastes by means of its rich product range. Packages vary in weight and type. If you wish something luxury or something for everyday life, something special, something commercial or something unique, for personal use or for trade, you can find it among NIKO products. 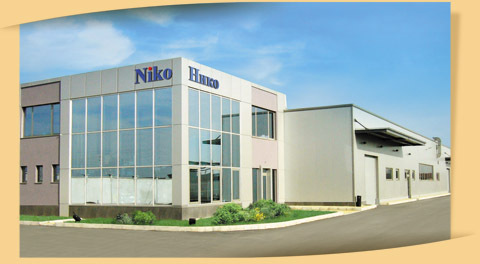 The new production facility – Food Packaging Enterprise built and commissioned in 2006 is also a result of NIKO development. To satisfy its clients’ demands and ensure the provision of safe products to the foodstuff chain, the Company applies a food safety management system in accordance with ISO 22000:2005 based on HACCP guidelines. In addition to the expansion of its product range and production facilities, NIKO expands its client network. as well. Wholesale stores in the territory of the country that have chosen NIKO quality exceed 300. NIKO’s products can be find in hypermarkets “Kaufland”, supermarkets “Leksi”, “Triumf” etc. NIKO is a registered trademark. The Company is in the possession of over 10 registrations with the Patent Office of the Republic of Bulgaria – trademarks and industrial designs. Niko is a quality product guarantee.